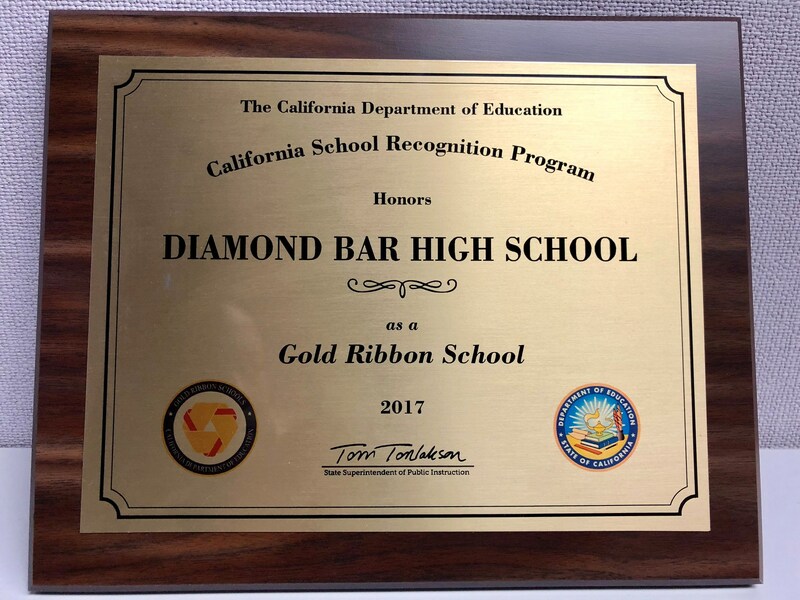 WALNUT, CA--Diamond Bar and Walnut high schools have been recognized as 2017 California Gold Ribbon Schools. State Superintendent of Public Education Tom Torlakson announced last week that 275 middle and high schools across the state received this year’s honor, out of nearly 500 hopefuls that applied. These schools represent examples of excellent teaching, learning, and collaborating, as well as highly successful school climate efforts. Schools are commended for improvement in Common Core-based math and English language-arts test scores. They also were evaluated on their implementation of programs and curriculum that prepare students for college and beyond. Schools applied for the award based on a signature program that can be replicated by other schools. Diamond Bar High submitted for consideration the school’s Wellness Center and Social Emotional Learning (SEL) programs. The Wellness Center opened its doors in January 2016 to offer an additional layer of support services and personal management strategies. Last fall, it was awarded the national Inspired Changemaker Award by Yale University and Facebook for pioneering efforts to provide social emotional support, educational resources and events for students. 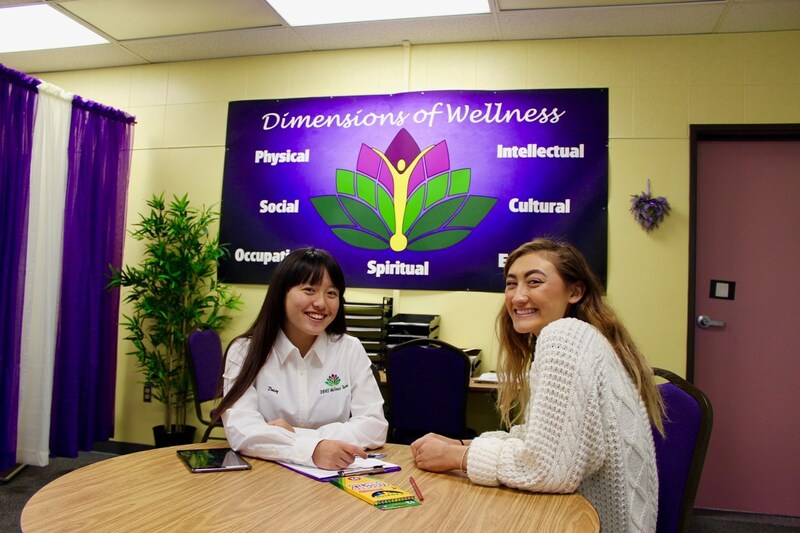 “Diamond Bar High is the only high school in the state staffed by student wellness consultants who are trained in peer counseling and assisting student’s social and emotional needs for the entire school day. We are very proud of the support we are offering our students,” said DBHS Principal Reuben Jones. Walnut High highlighted its IB Career-Related Program (IBCP)/Project Lead the Way (PLTW) Biomedical Science. Since launching in 2013, Walnut High has remained the only school in the state to offer both IBCP with the PLTW Biomedical Sciences program as its career-related component. On April 4, 37 seniors received white coats and medallions marking the completion of the rigorous three-year program. “We as a school community work hard each and every day to ensure that all of our programs are meeting the needs of all students. This prestigious award helps us remember that our collective efforts are appreciated by people within and outside of our community,” said WHS Principal Brandon Dade. 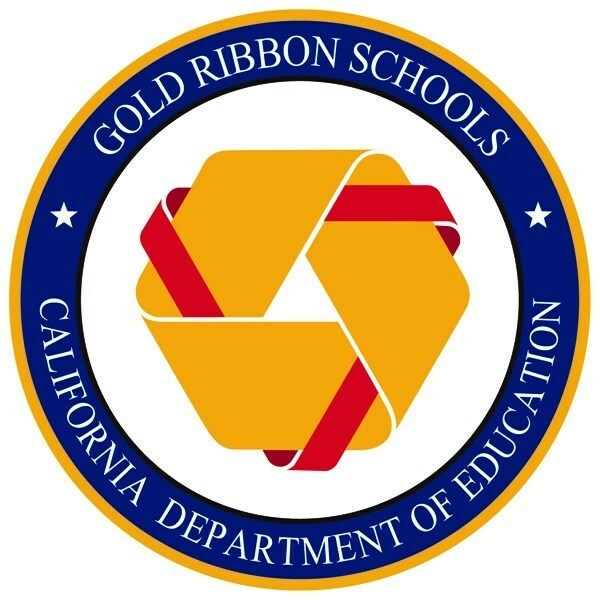 The Gold Ribbon award replaces the California Distinguished Schools Program, which is on hiatus while that state eases into new testing and accountability systems. Schools will be recognized on May 15. 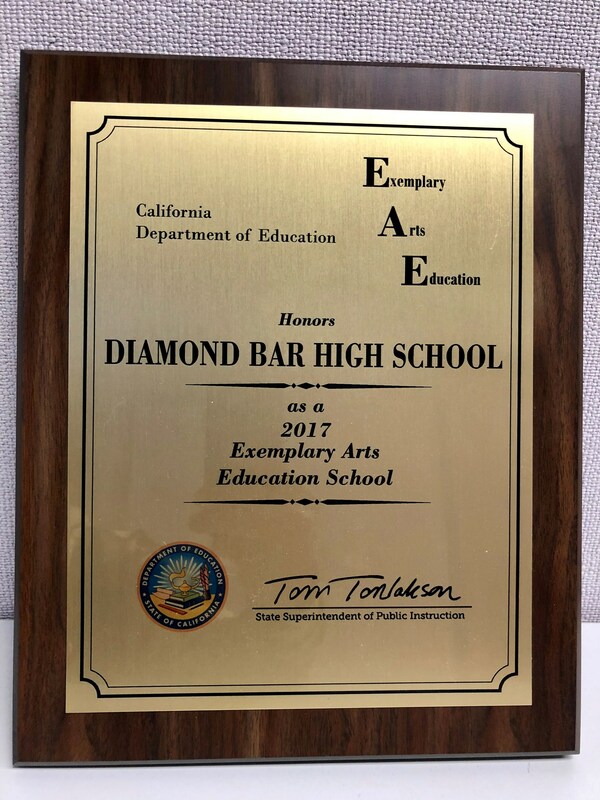 Congratulations to the dedicated, creative, and talented staff, and the supportive school communities at Diamond Bar and Walnut high schools! Shown: The Diamond Bar High Wellness Center provides support services and educational resources to students. 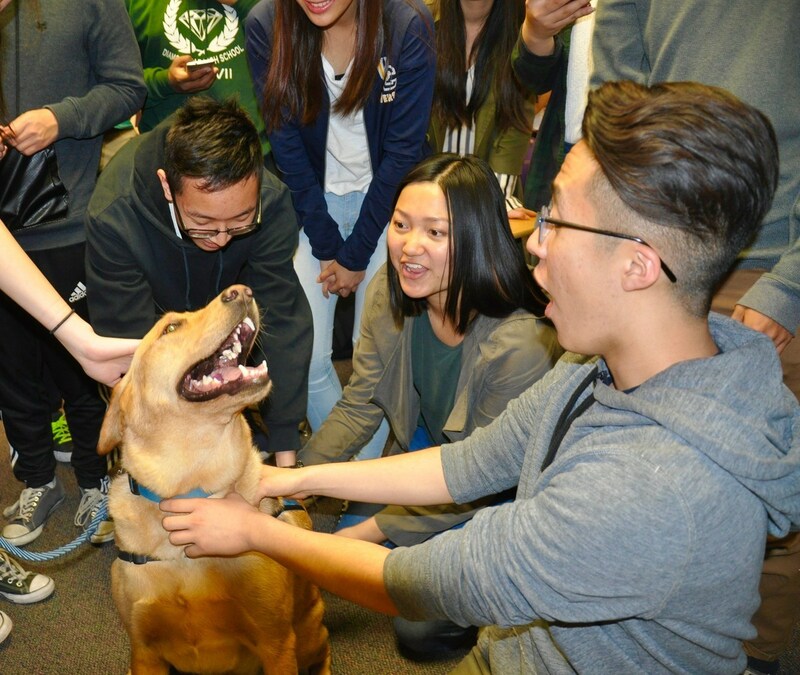 Shown: The Diamond Bar High Wellness Center regularly invites therapy dogs on campus to help students de-stress. On April 27, King, a gentle 100-lb English Labrador visits students in classrooms.